Why do many Ashkenazic congregations repeat (at least a portion of) the last verse (Devarim 25:19) of Parashat Zachor twice, once saying "zeikher" and the other "zekher" (flipping the first vowel from tzeirei to segol)? What is the underlying argument between the two pronunciations and how should one deal with this issue? Per the Mishna Berura "Know that some say that the word זכר should be pronounced as "Zaicher" with a "Tzairai" and some say that it should be pronounced "Zecher" with a "Segol." Therefore, it is correct to read it twice. The Mishnah Berurah does not cite a source for the two opinions, however some have suggested that the source is the following letter by Rabbi Chaim Volozhin. Rabbi Chaim was a leading student the Gaon of Vilna, and the following is a section of a letter that was written by Rabbi Chaim to the publisher of Ma'aseh Rav, a collection of testimonies about the Vilna Gaon's personal customs. "As for what you wrote to say in Parshas Zachor, Zecher, I heard from the holy mouth of the Vilna Gaon that he read it Zaicher. I do not know whether those who claim to have heard otherwise are mistaken or whether he changed his mind in his old age. Please try to find out the truth." The different ways I have seen are either totally repeating the Posuk and saying the word differently or just repeating from Timche with the other pronunciation. Essentially, a mistaken edition of the Radak was popular for a short time, leading to various changes by overzealous grammarians and confusing two very influential rabbis. See the extensive (hundreds of manuscripts/editions surveyed) documentation of Dr. Yitzchak/Jordan Penkower in Iyyunei Miqra uFarshanut, vol. 4, Bar Ilan University Press, 1997, greatly summarized (with a few of my own small additions) below. תמחה את זכר עמלק בשש נקודות אבל לזכר קדשו בחמש נקודות, ולית כוותיה, כן הוא במקצת ספרים, ובמקצת ספרים כל זכר בחמש נקודות. [The ZKR in] "Timcheh Et ZKR Amalek" (Deuteronomy 25:19) [is written] with 6 dots, but [the ZKR in] "LeZKR Kodsho" (Psalms 30:5 and/or 97:12) [is written] with 5 dots, and there is none other like it, so it is in some books, and in some books all ZKR [is written] with 5 dots. Whatever the former manuscript was (and we have no (!) surviving manuscript which exactly matches the first opinion, however you understand it, nor any manuscript which has a לית designation on the word ZKR (nor is any such designation brought in R Meir Abulafia's extensive and influential Masoret Syag LaTorah)), the overwhelmingly dominant practice in medieval times was like the latter opinion (which it seems Radak eventually preferred, citing only it in his later work Eit Sofer), which matches the traditional Masorah. This follows through to the great late 16th century masoretic scholars Rs Menachem De Lonzano (who doesn't even bother to comment on the word (Ohr Torah)) and Yedidya Norzi (who uses 5 dots and implies there are no dissenters (Minchat Shai)). 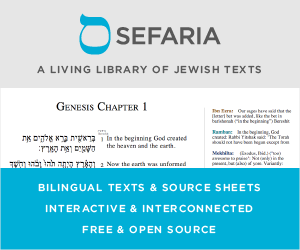 Such is still the exclusive text in Sephardic and Yemenite communities. Eventually the correct text of the Radak was republished in 1857 (R Wolf Heidenheim used it from manuscript already in his ~1820 Chumash), and since then the fact that half of Radak's statement wasn't available to many pre-1857 was soon forgotten, and nearly all Chumashim have returned to printing things the original way, with 5 dots in every location. (For some reason, some Siddurim have lagged behind. Compare Psalm 145:7 in an Artscroll Siddur and Tanakh.) Indeed at first most communities resumed only using 5 dots (Arukh haShulchan makes no mention of using 6 dots in Lithuania and testimony indicates they used 5, in Karlin they only used 5 dots, same in Hungary, same in Frankfurt, same in Ukraine and New York, etc.). But in the midst of all that confusion, two very influential rabbis had their practices (for everyone had a practice, whether it was particularly informed or not) recorded: the first Lubavitcher Rebbe wrote a homiletic explanation for why Exodus 17:14 has 6 dots while Deuteronomy 25:19 has 5 dots. Given that the words now have different senses, it's not surprising that within a century R Shneur Zalman Fradkin enacted reading both ways whenever one of those verses is read (as reported by Ketzot HaShulchan). Roughly at the same time, a dispute among the Vilna Gaon's students as to his practice is recorded in Maaseh Rav 134, and, while there is much written about which side is more accurate, the "standard" understanding is that he likely changed from reading with 5 dots to 6 dots (for at least Deuteronomy 25:19 and Psalms 145:7) in his later years, again seemingly, to conform with the opinion of Radak. In any event, this dispute was enshrined into practice (along with many other practices of the Vilna Gaon) by the Mishna Berura (685 sk 18) with his recommendation of reading both ways for Parashat Zakhor. You can hopefully now begin to understand how someone back then who sees whatever version of Radak and sees the plethora of printed variations would think this is some old fundamental Machloket which deserves explanation and understanding, when really it's a series of typos and overzealous grammarians creating considerable confusion for good Jews. So anyway, that whole mess is why some people started doing it. I have no idea why anyone still does it now that we know how this all happened. The only people I've seen who still do this are those who are mimicking someone else's practice without knowing (or caring) what's really behind it. The traditional Jewish way to deal with an issue like this is to follow the majority of the older reliable texts, and there is now no longer any doubt what that entails (even if there were points in relatively recent history when certain Gedolim had inaccurate and/or insufficient data to figure that out). If you have a desire to be stringent and repeat multiple readings of verses from old manuscripts, I can suggest many which are based in serious traditional disputes (ex. Gen 9:29, Num 11:8, Deu 33:21), but if you want to be stringent about every variant mentioned in any manuscript (and even variants found only in cryptic citations in but one Rishon), you will never finish the Torah reading on a regular week before the congregation heads out for Kiddush, not to mention never having a Kosher Sefer Torah. The fact that some small towns in Europe only had a limited number of inaccurate Chumashim and/or grammatical works is no excuse for continuing to promulgate such errors today into our holy Masorah. It's high time for the memory of "Zekher" to be erased. A comprehensive article about this was written by the late Rav Mordechai Breuer, published in Megadim 10, Shvat 5750. He discusses the "Zeicher" issue, as well as "V'laharog" and "Lifneihem" in the Megillah (discussed in Rav Moshe's teshuvah). He traces the history of the variant pronunciation back to the Radak, and discusses the mesorah for the word from sources like the Keter and the Minchat Shai. His conclusion is that from a masoretic perspective, "Zeicher" with a tzeireh is correct--but it's really worth reading the whole article. Not the answer you're looking for? Browse other questions tagged halacha ashkenazi pronunciation parshat-zachor . 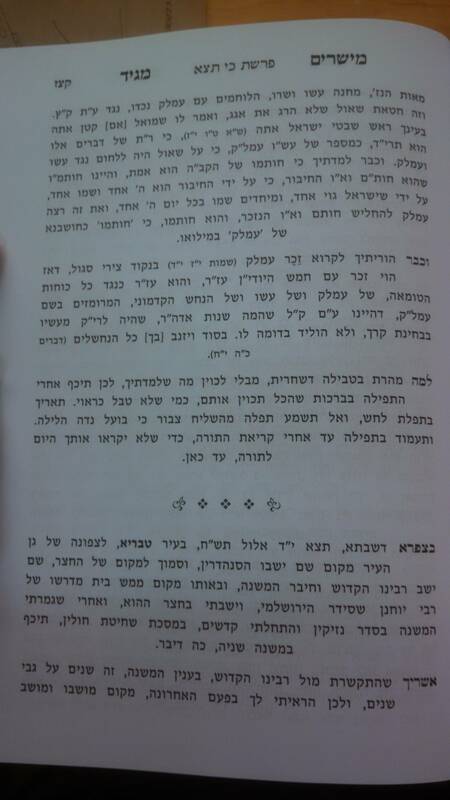 A Lubavitch custom of reciting zecher and zeicher in “Ashrei”? Is the passage repeated during the reading of Zachor the only place such a question arises? Zecher L'Churban - Why a plate at Tenayim and a glass at the Chupah? Which US half-dollar coin should be used for Zecher Machatzis Hashekel? Where does the zecher lechurban go in an apartment building?